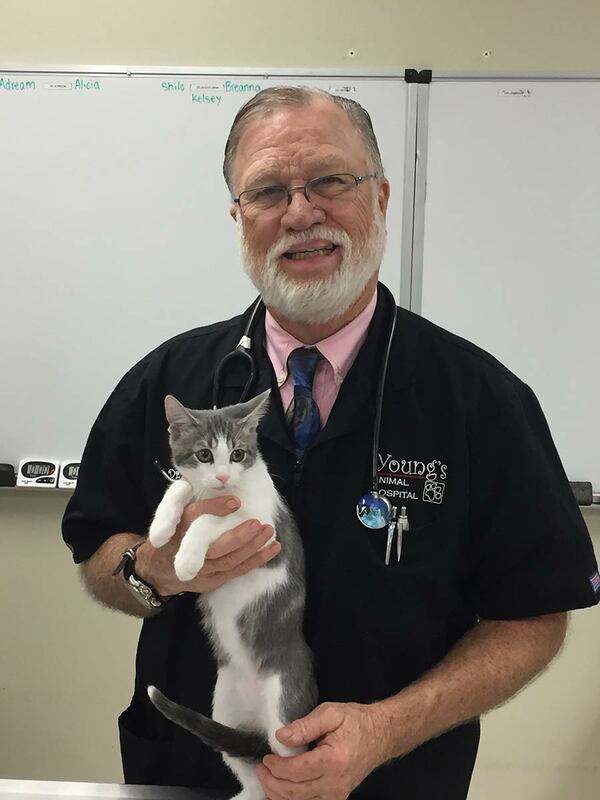 Young's Animal Hospital – Veterinarians in Titusville, FL – Young's Animal Hospital is your Veterinarian team in Titusville serving all traditional and exotic pet needs. Call (321) 267-3841 for an appointment. 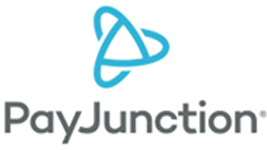 into a raffle to win a free 6 month supply of prevention. At Young’s Animal Hospital, we believe in the bond between humans and their pets. We work hard to make sure our patients live the longest and healthiest lives possible with our help. We know this is possible only with good care. on Tuesdays and Fridays till 8:00pm! Dr. Bockelman obtained her Bachelor’s Degree in Organismal Biology from Kutztown University, and earned a Ph.D. in Behavioral and Evolutionary Biology from Lehigh University. 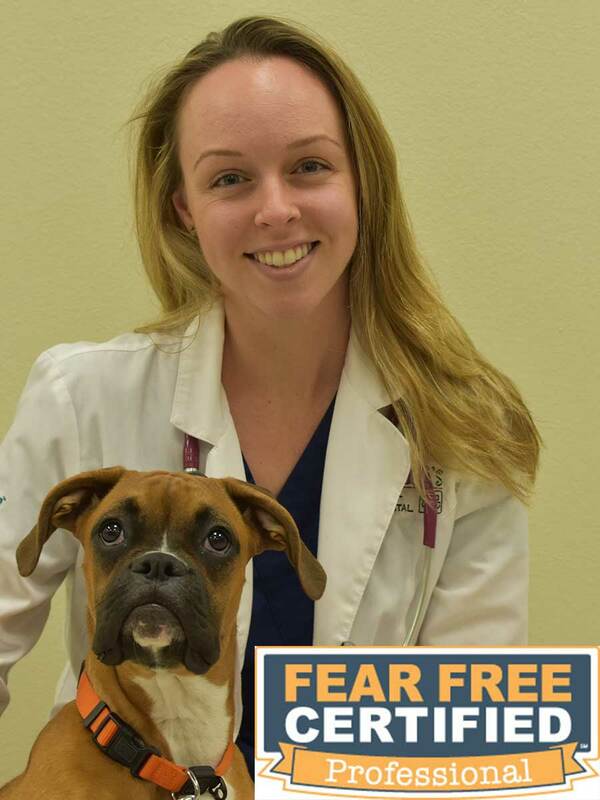 After working as the animal behaviorist at an open-admission humane society, she returned to veterinary school, and earned her DVM from Auburn University. While she loves working with dogs and cats, she has a special interest in Avian and Exotic medicine. She is a member of the Association of Reptilian and Amphibian Veterinarians, the Association of Avian Veterinarians, as well as the Association of Exotic Mammal Veterinarians. In her spare time she enjoys the outdoors, spending time at the beach, kayaking, and running with her husband. They have completed many half marathons, as well as a full marathon. They share their home with 2 dogs, 4 cats, a rabbit, a lovebird and a bearded dragon. Dr. Gordon graduated from Auburn University School of Veterinary Medicine. He also spent two years in the US Army Special Forces. He owned a mixed practice veterinary clinic located in Greenwood, Mississippi for 9 years before moving to Florida. He owned and operated a four-Doctor small animal clinic in New Port Richey, Florida for 24 years. He is a member of the Florida Veterinary Medical Association (FVMA) and the American Veterinary Medical Association (AVMA). He is the proud owner of a ten-year-old Rat Terrier named “Annie”, two horses named “Katy” and “Thunder” and three chickens, “Bauk”, “Clari” and “Robbin”. In his free time, he enjoys playing golf, fishing, SCUBA diving, traveling with his wife Joyce, and spending time with his grandchildren, Lindsey, Ryan, and Eli. Dr. Hogan is a Brevard county native who was born and raised in Cocoa. In 2013, she received a Bachelor’s degree in biology from The University of Florida. 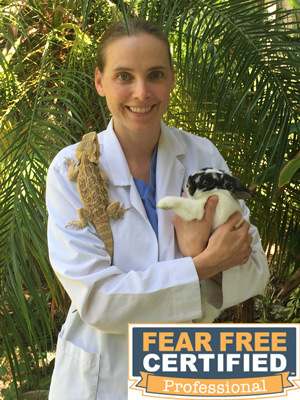 She stayed in Gainesville to pursue her Doctorate of Veterinary Medicine from the University of Florida. Her interests include soft tissue surgery as well as kitten and puppy exams. On her days off she enjoys running with her lab mix Janie and cuddling her cat Loki. Dr. Johnson is a Minnesota native, and every now and then you will hear that funny Minnesota accent creep into her voice. She attended the University of North Dakota, where she earned degrees in chemistry and mathematics. She obtained her Ph.D in chemistry at the University of Wisconsin. She was a chemistry professor at Susquehanna University in Pennsylvania and St. Cloud State University in Minnesota. Although she enjoyed both teaching and research, she decided to combine her scientific background and love for animals by becoming a veterinarian. 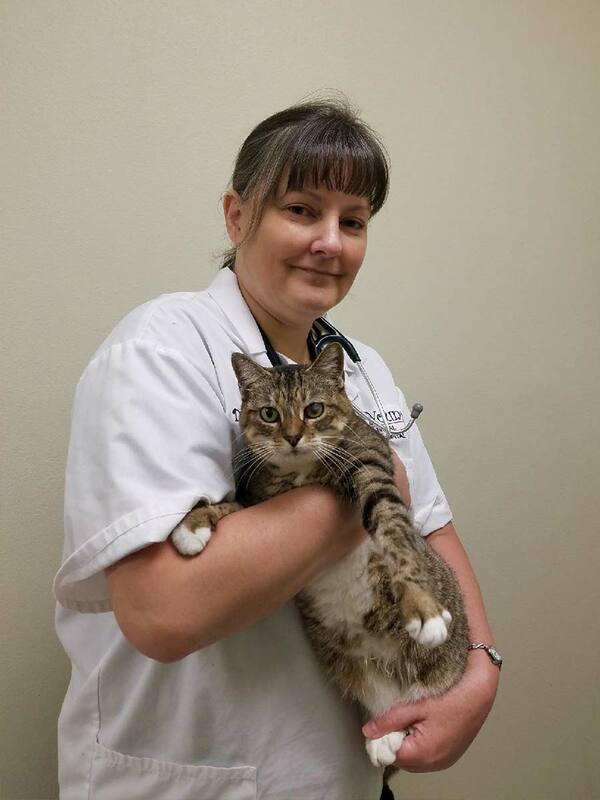 She graduated with her DVM degree in 2004 from the University of Minnesota and has practiced small animal medicine in private practices in Minnesota and at Young’s Animal Hospital 6 years ago. She has also served as Resident Veterinarian for the Veterinary Technology program at the Minnesota School of Business. Dr. Johnson is married to Dr. Brian Johnson, a chemistry professor at St. John’s University, and they have six cats. In her spare time, Dr. Johnson enjoys camping, hiking, hunting for rare wild orchids, quilting, antiquing, and church activities. 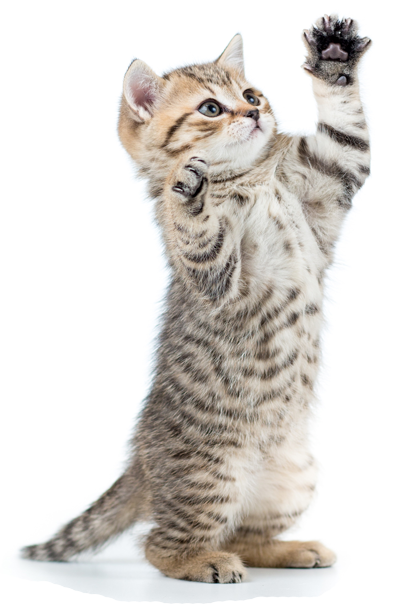 Young’s Animal Hospital is proud to serve Titusville, FL and the surrounding communities. We strive to give all types of pets the very best veterinary care by staying up to date on the latest medical advances so we can best serve your pets.